Toronto’s extensive work on the silver screen reveals that, while we have the chameleonic ability to look like anywhere from New York City to Moscow, the disguise doesn’t always hold up to scrutiny. Reel Toronto revels in digging up and displaying the films that attempt to mask, hide, or—in rare cases—proudly display our city. Pawn shops, weird strip clubs, eavesdropping traumatized accountants—Queen East has it all. Just because Toronto is capable of playing nearly any locale on earth, it doesn’t mean we don’t get to strut our stuff au naturel every now and then. 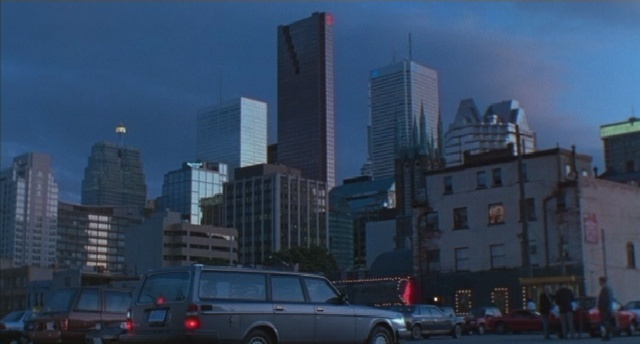 Local auteur Atom Egoyan has shot the majority of his films here, and since most of them are set here too, there is no need to be all coy in composing shots to, say, exclude the CN Tower. Along with The Sweet Hereafter, 1994’s Exotica is probably Egoyan’s magnum opus to date. And while it may be lesser Egoyan, Where the Truth Lies is equally praiseworthy for its use of local locales (and it’s controversial three-way scene, natch). Why can’t real strip clubs be a little more like the lovely Exotica? You’re looking for a classy peeler, right? The kind of place that has both full frontal and Leonard Cohen on the soundtrack? You don’t mind if the MC is a bit of a creepy guy who delivers lengthy, quasi-esoteric monologues? Well, then Exotica is the place for you. Sadly, Exotica does not actually exist. Reel Toronto’s team of detectives determined that the club exterior is merely the back of a store on Mutual Street, located between Queen and Shuter. As you can see above, the spires of Metropolitan United Church provide a fine contrast to the towers of commerce lingering behind in the financial district. Sarah Polley + Bruce Greenwood + Atom Egoyan = Good movie that doesn’t really make sense until the end. Don’t believe everything you see in movies: there are few opera ticket scalpers in front of Osgoode Hall. 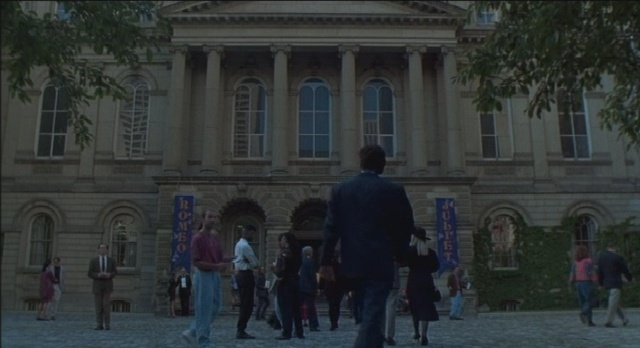 When Don McKellar’s character goes to the opera, the purported Opera House is actually Osgoode Hall. Ironically, these days the new Four Seasons Centre for the Performing Arts is right across the street, but Osgoode’s Victorian façade fills in quite nicely. The interiors, on the other hand, were shot at the lovely Winter Garden Theatre. Six Degrees of Kevin Bacon is more fun if you’re allowed to count Billie Holliday & Frank Sinatra having all performed in the same room. Where the Truth Lies is painted on a somewhat broader canvas, with many scenes taking place (and being filmed) as far afield as Los Angeles. 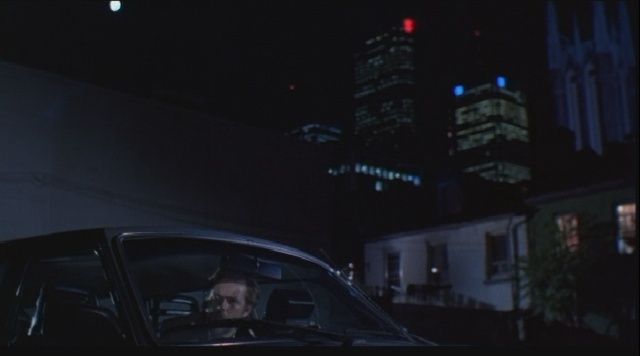 Some scenes also take place in New York, but those were shot here. The telethon scenes, which recur throughout the film, were shot at the art deco Carlu, in College Park. The main concert hall, which once hosted the likes of Glenn Gould, is on display in all its glory here. The Royal York’s ballrooms cater to weddings, proms, Empire Club meetings and fake press conferences. When the exhausted main characters—played by Kevin Bacon and Colin Firth—hold a post-telethon press conference, it takes place in the elegant main ballroom at the Royal York. There’s a bit of them striding through the historic hotel’s hallways as well. Sea Hi was kicking it retro before anyone knew what retro was. 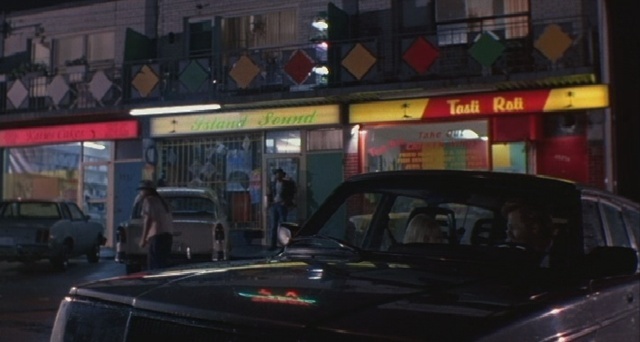 One of the more original locations used is the Chinese restaurant, where Bacon and Alison Lohman have an intimate meal. With its 1950s stylings, North York’s Sea Hi provides a location so perfect you couldn’t have possibly built a more real setting. So, there you have it. Toronto actually playing itself (mostly). Was that so hard?